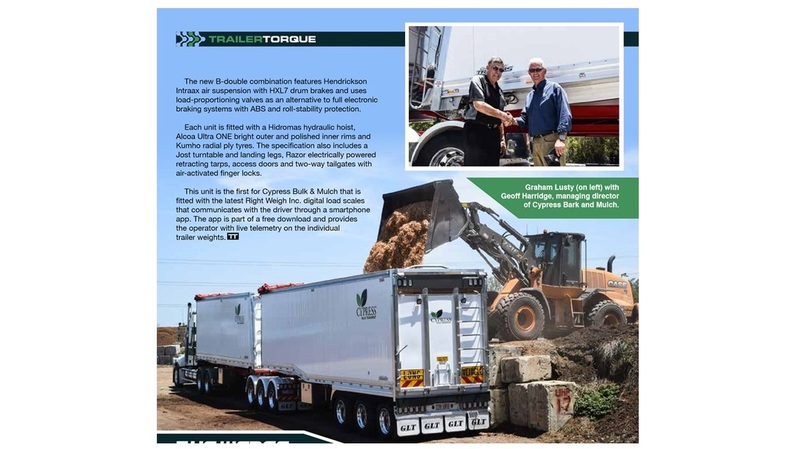 Read about our new addition to our fleet in Power Torque magazine April edition. Our GLT B-Double trailers. We are continually modernising our fleet to improve how efficiently we can recycle the waste Cypress timber products. There are many things you can do to sell your home and make final touches to add value. One of the most cost effective and simple ways is to add fresh mulch to your garden. But don't just go for the cheapest mulch option as you never know what pests you may be introducing in that mulch. 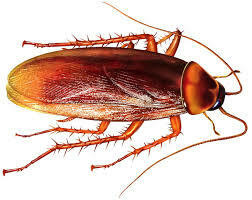 This could impact on your building and pest inspection at the final hurdle. Choose a quality reputable mulch. 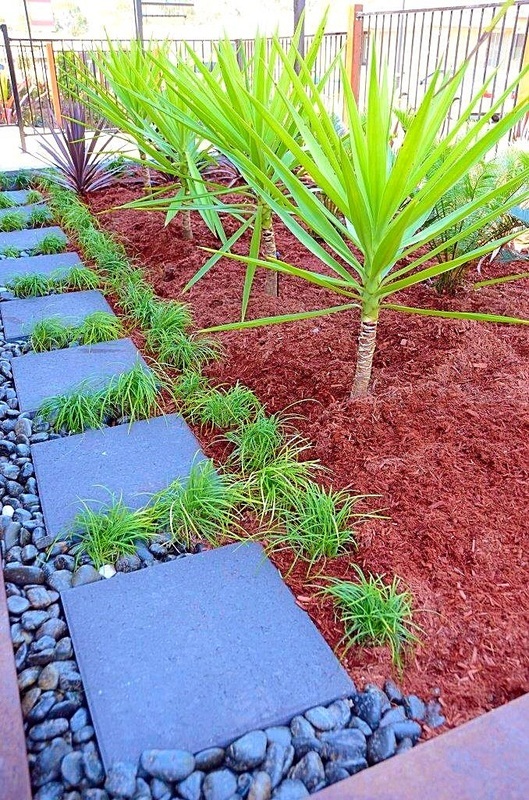 Cypress mulch is naturally termite resistant and deters cockroaches and other insects whilst bringing a fresh aromatic feel to your garden and home. It will also last a lot longer for your next tenant or for a month or two of inspections if it goes to auction. A 1" thick layer over the garden is enough to make your garden and home look amazing for those online photographs, newspaper adds and when the weekly inspections begin. So a few hundred dollars in preparation before selling could add thousands to the end sale price. So go out and Refresh Your Garden pre-sale. 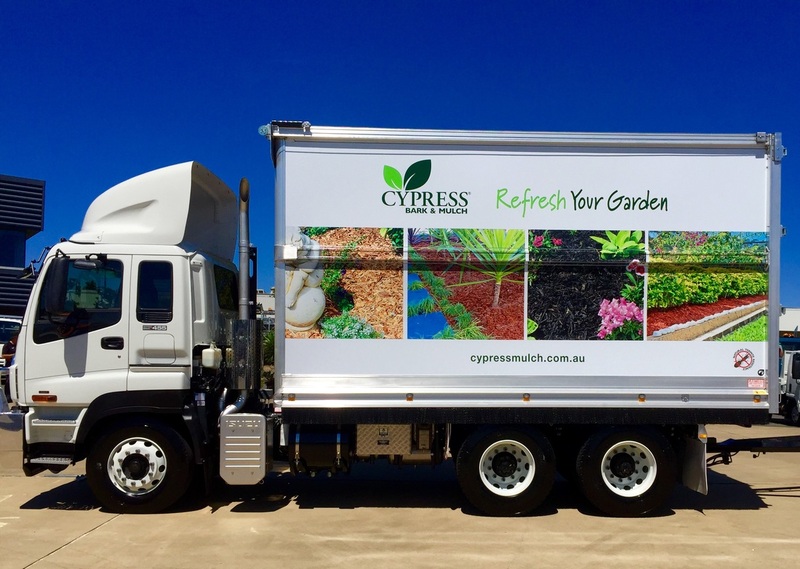 Our new fleet member has arrived ready to deliver our beautiful Cypress Mulches to your nearest landscape supply yard. We believe in quality mulch to Refresh Your Garden and quality vehicles to deliver it. Happy gardening. Mulch is not just about the product but how it compliments your garden, outdoor entertaining area or commercial space. Like painting your house it is an important colour palette and pattern decision that will bring your plants to life and 'Refresh your Garden'. Location location location where is the mulch to be used? e.g. flat garden beds or steep slopes or a combination. How are you going to apply it to the garden? e.g. by hand, wheel barrow, shovel, pitch fork, bobcat. Chip and Mulch is easy to shovel and move about, where as bark generally requires a pitch fork as it binds together but is still easily moved once in the wheelbarrow or on the garden. Work out the colour that would compliment your garden, gold, orange, chocolate brown, deep brown/red, Uluru Red this is a personal preference. Work out how fine or course/chunky you want the mulch to be. How long you want it to last (Cypress will last longer and retain its colour longer than other mulches). How much do you need to do this measure the length x width x depth. Generally we say a minimum of 10cm or 4 inches deep. The deeper the better for weed suppression. Check our product images and contact us with any questions. we always recommend checking the product in the landscape yards yourself due to colour differences in manufacturing a natural product. How to Take Advantage After the Rain! 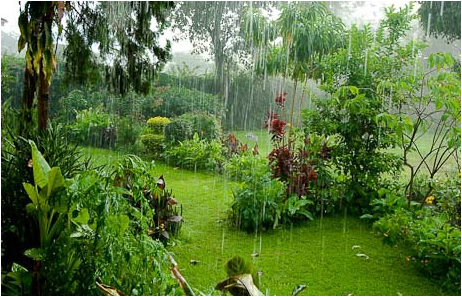 After all of this rain your garden will be growing wildly, your soil is full of moisture helping your plants grow. 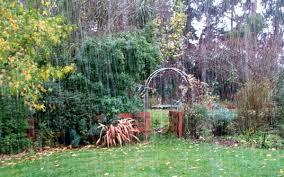 However come Autumn and Winter which are notoriously drier months of the year you need to retain the moisture in your garden soil. To do this add a 100mm thick mulch over your garden this will protect your plants water source through the drier months and ensure they are ready to grow strongly come Spring. It is always a good idea to add some nutrients to your soil before winter so add a slow release fertilizer before mulching to give them the nutrients they require for Spring. Remember to water your plants regularly as per your local Nurseries instructions (and council regulations). Mulch will significantly reduce the amount of water you use in your garden, but it will not make your plants drought proof. See your local landscape supplier or Nursery to get expert advice for your specific garden.